A strong north-easterly breeze took sailors on a long course to BC5 and back, testing them on their passage planning and racing strategies. This being the final race, it was hotly contested in the Beach Catamaran class, with Doug Fimmell’s Madfish II hanging on to 1st place after today’s race, relegating Stray Catz and Bad Influence to 2nd and 3rd respectively. Despite today’s dismasting, Bad Influence went on to win the Series III with Madfish II 1 point behind. In the overall leaderboard, Uli Braun’s Nacra 15 did enough to secure his claim to the Sunday Series Challege Trophy, winning the trophy on tie break. Madfish II took 2nd place, with Persian Cat rounding off the winners in 3rd. In the Cruising Multihull Class, the Corsairs lapped up the strong breeze, with Graham Horn’s Jaza Too clinching the bullet 26 seconds ahead of Twilight champions Eeepai, crediting the good winds and hardworking crew for their win. Cicak rounded off the winners in 3rd, just 11 seconds ahead of Miss Visayan after corrected time. In the Series, Jaza Too once again claimed victory with 3 bullets from 6 races. They place a comfortable 8 points above Miss Visayan in 2nd. Eeepai round of the Series III podium finishers in 3rd. The Sunday Series 2018 overall leaderboard however sees Witblits taking the Challenge Trophy on 7 points, doing well to stay ahead of Eeepai in 2nd and Cicak in 3rd. It was a battle of the big boats in the PY Class for the final race of the Sunday Series III, as Temptress of Down and Sangaree thrived in the favourable wind conditions. Sangaree emerged the clear victor, claiming line honours and the bullet on handicap. Despite finishing a good 5 minutes behind Sangaree, Temptress did well enough to keep Minx at bay, securing 2nd 27 seconds ahead of Minx after corrected time. Minx however, only just escaped Southern Light’s clutches, taking podium 1 second ahead after handicap! in the Series, Sangaree’s win secured their position at the top, 2 points ahead of the trailing Temptress of Down. Minx completed the Series III podium winners in 3rd. In the overall leaderboard, Sangaree’s win in Series III rewarded her with a 3rd for the year, just 1 point behind Southern Light in 2nd. Minx‘s consistent podium finishes in all 3 Series for the year earned her a well-deserved PY Challenge Trophy for 2018. The IRC Class saw a close fight between Shardana and Jong Dee, despite the latter’s superb start which led to her taking an early lead. The Italian Stallion eventually claimed the bullet and line honours, leaving Born in Fire in 3rd. The Series III results reflect their positions, as Shardana, Jong Dee and Born in Fire placed 1st, 2nd and 3rd respectively. For the overall Sunday Series 2018 Leaderboard, Jong Dee claimed the IRC Challenge Trophy on 5 points, completing the double for this weekend. Invictus‘s absence in the last few races see them slink into 2nd, 2 points adrift. Shardana’s win in Series III earns them a 3rd on the podium to conclude the winners in the IRC Class. At the Prize-Giving Ceremony, we took the time to recognize our young sailors taking part in the upcoming CSC Optimist Championships, Silver Fleet. 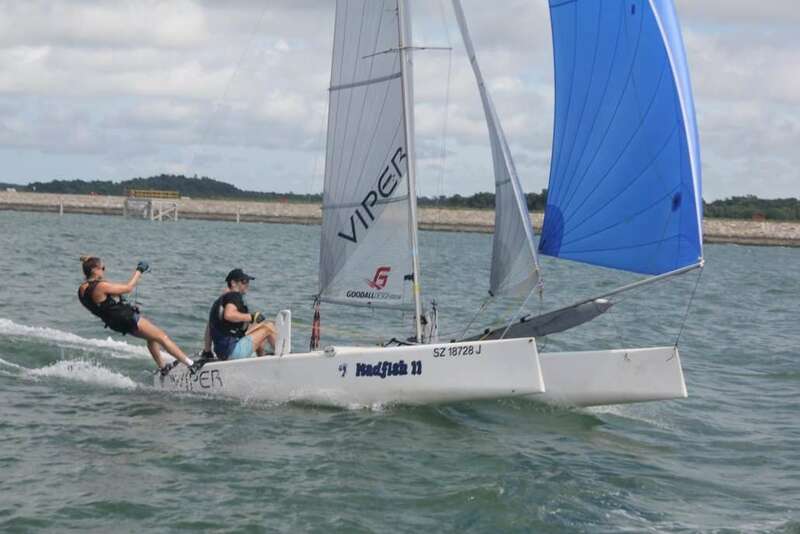 They had just concluded a rigorous 3-day Sailing/Racing Camp, and are ready to compete with the nation’s best youth sailors. Good luck to all! Thank you everyone for another wonderful year of Club Racing, we hope you enjoyed this mega-weekend!